For nearly eight years, the Obama administration has utilized what has become a signature approach of appeasement and contriteness in dealing with world leaders. And Hillary Clinton’s symbolic “reset” with Russia, as secretary of state, has been met with aggression unlike anything we’ve seen since the Cold War of the mid to late 1900s. Frankly, the Obama administration is dangerously outmatched in dealing with tyrannical leaders such as Vladimir Putin. Obama’s nave attempts to “talk” other nation’s leaders into submission has been an embarrassing disaster. In stark contrast, Ronald Reagan understood the concept of achieving peace through strength. Upon entering office, Reagan determined the U.S. military, under previous administrations, had become worn and antiquated. He saw America as the last stand for Democracy and believed in establishing a position of power to squelch communism. In March 1983, the “great communicator” spoke on defense and national security and portrayed his vision for protecting the homeland. He proceeded to lay out his vision for a Strategic Defense Initiative (SDI) which became known as “Star Wars.” The anti-missile system would be a space and ground-based weapons system designed to intercept intercontinental ballistic missiles launched toward the U.S. While SDI was never fully implemented, Reagan’s leadership as commander-in-chief and his tenacious approach to defeating communism helped influence the collapse of the Soviet Union and end the Cold War. The U.S. is a prize target for many rogue nations. Ambitious leaders across the globe have waited for Americans to embrace weak leaders like Barack Obama and Hillary Clinton. They know they’re strategically challenged and can be easily out-maneuvered. It’s time for the U.S. to once again take its place as the world leader of democracy. Tyrants must understand that while the U.S. is hopeful for peace, we will be resolute in defending freedom. When you’re the United States of America, the only way to ensure peace is to have a military strong enough we’ll never have to use it. But you must also have a savvy leader, like Donald Trump, with the determination and backbone to leverage it. Just when you think the Obama administration couldn’t possibly do anything further to compromise our nation’s safety and security, it blazes a new trail of incompetence. As reported by The Wall Street Journal and multiple news agencies, the Obama administration “secretly organized an airlift of $400 million worth of cash to Iran” in a time frame that coincided with the January release of four Americans detained in Iran, according to officials and congressional staff briefed on the operation afterward. Reportedly, the money was the first installment of a $1.7 billion settlement the administration reached with Iran to resolve a dispute over a 37-year-old arms deal. Stories splattered the airwaves last week describing a covert operation in which wooden pallets stacked with euros, Swiss francs and other currencies were flown to Iran on an unmarked cargo plane. The U.S. reportedly obtained the money from the central banks of the Netherlands and Switzerland, according to these officials. Of course, serving up its usual course of intellectual dishonesty, the Obama administration promised the American people the window of the two transactions was a complete coincidence and they had absolutely nothing to do with each other. I suppose loading up the cash and delivering it on an airplane was the next best answer for this administration – brilliant. Now, I’m not going to waste my time trying to convince naysayers this wasn’t an obvious U.S. ransom payment to the mullahs of Iran for the release of four Americans. Anyone who believes otherwise has obviously been partaking of the liberal Kool-Aid libation for way too long to think clearly. I’ll only add that we know the hostages were released literally the same day the cash arrived. And according to The National Review and other sources, one of the hostages even reported they were detained “an extra several hours” and not allowed to leave until the arrival of another plane, presumably carrying the ransom. But let’s give the Obama administration the benefit of the doubt for a moment. Suppose these Iranian deals, the payment of the $400 million and the release of the hostages were indeed “unrelated.” Then how stupid can they possibly be? It isn’t nearly as important whether it was or wasn’t a ransom payment as it is how the world and Iran perceive it! Wouldn’t one have considered separating the two deals in an effort to avoid the appearance of impropriety? If a terrorist entity believes the United States succumbed to paying ransom to one of its government’s state sponsors of terrorism, Obama has essentially placed a target on the back of every U.S. citizen abroad! So either this is a ransom payment to terrorists or another case of poor judgment by this administration emboldening terrorists and endangering U.S. citizens. America simply doesn’t win with Barack Obama’s deals. And Hillary Clinton will be more of the same. Greetings from the great state of West Virginia! Well, Mr. President, I’m not sure what metrics apply in Washington, but as for the rest of the country, things have never been tougher. Sadly, throughout your presidency, the complicit liberal media has refused to engage you with direct questions aimed at getting honest answers. So if you’ll indulge me, Mr. President, I would like to pose a few simple questions. Mr. President, our nation’s labor participation force is the lowest it’s been since the mid-1970s. According to the Bureau of Labor Statistics, a record 94 million Americans are missing from the labor force. During the same period of time in 2008, the number was 79 million Americans. How do you explain this tragic drop in employment? President Obama, as you know, individuals who haven’t actively looked for work for four weeks are dropped from the monthly reported unemployment rate. Given the record number of Americans not looking for work and missing from the labor force, don’t you feel it’s misleading to report unemployment at below 5 percent? Mr. President, following the Bush presidency, according to the U.S. Department of Agriculture, there were 28.2 million people on food stamps, now known as the Supplemental Nutrition Assistance Program (SNAP). Yet, according to recent SNAP statistics, this number has increased to over 44 million people. How do you explain so many more people now dependent upon the government for food? Mr. President, in recent weeks, you’ve used the word “booming” to describe certain segments of our economy. Yet, according to the U.S. Census Bureau, median household income has dropped from $55,313 in 2008 when you took office to $53,657 in 2014. When factoring price increases, the median household income becomes comparable to levels we haven’t seen since the mid-1990s. What words do you have for families not feeling the “boom” in the economy? In 2008, Mr. President, when you were running for office, you criticized then-President Bush for adding $4 trillion to the national debt, saying it was “unpatriotic” and “irresponsible” to burden future generations with such a large national debt. Yet, since taking office in 2009, your administration has added another $7.5 trillion, according to multiple sources, including The Weekly Standard. In fact, the Congressional Budget Office predicts the debt could exceed $19 trillion by the end of your presidency. Would you now “walk back” your 2009 indictment of Bush? “Metrics” are only as good as the data, Mr. President. And yours fail to meet the mark. But if you’re looking for a good accountant to honestly track the information, give us a call here in West Virginia. We have plenty of people who could use the work. 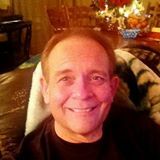 Free State Patriot welcomes Kevin Rice as the newest contributor to Free State Patriot. Kevin M. Rice is a master-level medical and scientific writer and Basic Science division Director at the Center for Diagnostic Nanosystems at Marshall University, with 12 years of writing experience, 6 years of editorial experience and an extensive scientific background with 12 years of basic science experience in the fields of geriatrics, diabetes, cardiovascular disease, nano-technology, sepsis, ischemia, physiology, and animal based drug intervention. He has over 62 peer reviewed journal articles which have received over 868 citations and over 87 conference presentation. He is the husband the father of 4 children and is a former pastor with 7 years of pastoral experience and 25 years of ministerial experience. Obama’s rhetoric is once again directed toward the undermining of the foundation on which this great nation was founded. To call the acts of one man a terrorist attack sanctioned in anyway by the Christian populous is both ludicrous and absurd. A nation founded on the Judeo -Christina ethics of morality, forgiveness, mercy and grace is what gave rise to this man’s actions. Notwithstanding, as a collective, the Christian populous is in great need of repentance. Not simply because of the action of one disturbed individual who took it upon himself to perform an act of violence and terror, but for allowing our great nation to sink to such debauchery, disdain and ignorance of Christianity. We have elected to the office of president, a man who lacks the moral compass or fortitude required to lead this great nation back to God. He instead sows seeds of religious discord and hatred. To what end or what purpose is served by labeling the actions of a single individual as a religiously sanctioned act? There was no terrorist cell plotting the attack on the Planned Parenthood Clinic. There is no directed recruitment taking place by any Christian organization to radicalize people to commit such acts of terrorism. This was the action of one disturbed man. The only foreseeable purpose in the terminology used by Mr. Obama is to further the agenda of religious intolerance within the American population. We live in a time where “that which is wrong is called right” and “that which is right is called wrong”. But we cannot place the blame on the politicians, the media, or society. We must step up to the altar and take the weight of this generation upon our own knees. Mr. Obama did not elect himself. We played a role in it, by either refraining to cast a vote and remaining silent, by voting for him, or by failing to rally enough support for a God-fearing candidate to be elected to office. The only way this nation can be healed is if we repent and change our course. Otherwise, we are headed for a complete annihilation of religious liberties. Our rights as Christians are a target of this administration and many other special interest groups. It is time to exercise the remaining freedom we have before it also is challenged. We have lost the radical nature that once raged within the hearts of the early church. We have lost the motivating force that drove men to give their lives for the cause of Christ. Now we cower behind the fear of political correctness – afraid to offend someone with our beliefs. If we are offended of Him, He will be offended of us. If we are to be labeled “Christian Terrorists”, then let us take on the active role that we should have been fulfilling in the first place. Let’s take the battle to the front lines! We battle not against flesh and blood but against principalities and wickedness enthroned in high places. Let’s plan a “terrorist attack” on the kingdom of Satan on our knees. Every hour of every day we need to have someone actively engaged in this battle for our homeland, our religious liberties, and for our spiritual existence. Let’s speak the Word of God without fear once again! Let’s proclaim the acceptable year of our Lord to all mankind. This great nation was founded on liberty and “freedom of religion”, not “freedom from religion”. We have allowed the enemy of our soul to rob this great nation of our religious liberty and freedom. It is now time to take it back. Obama, Kerry, Hillary and Democrats will have blood on their hands. Upon Congress’ return to Washington this week, its members’ plate will certainly be full of contentious topics. But none is any more critical than the Iran nuclear deal, otherwise known as the Joint Comprehensive Plan of Action (JCPOA). After reviewing many of the provisions of this international agreement, I’m not only concerned at the number of dangerous concessions the deal makes to Iran, but also the way it betrays our allies and gives aid to a sworn enemy of the United States and Israel. The basic mechanism of the accord involves trading previously imposed sanctions for restrictions on Iran’s nuclear proliferation. And while there are a number of stipulations which could impede Iran from acquiring a nuclear weapon, the long-term problems are numerous. First, the restrictions on uranium enrichment are time-based and would expire at some point in the future, ultimately opening a door for Iran to continue building its nuclear program and possibly creating a Middle East nuclear arms race. Time will not change the fact that Iran is a staunch enemy of Israel and has vowed to destroy that country. And Iran is clearly no friend of the United States. Incredibly, just one day after Obama appealed to Iranians in a video message to seize a “historic opportunity” for a nuclear deal and a better future, Iran’s Supreme leader Ali Khamenei called for “death to America”! On top of reducing sanctions in return for Iran’s promise of “good behavior,” the U.S. along with five other members of the U.N. Security Council and the European Union commit to assist Iran in developing their energy assets, finance, technology and trade. Why help strengthen the infrastructure of one of the most evil regimes in the world? The deal allows Iran to maintain its own nuclear reactors as long as they don’t continue to grow their capacity to enrich the core material needed for a nuclear weapon. A monitoring and verification system conducted by the International Atomic Energy Agency (IAEA) is planned to enforce Iran’s compliance, but the verification system is severely flawed. Apparently, the agreement requires IAEA to give Iran 24 days before any facility inspection. What good is an announced inspection, regardless of the amount of time? While interpretation of this provision varies, the disintegrating relationship between Israel and the Obama administration gives one reason to worry. Simply put, any deal that allows Iran to become a nuclear power at any point is a poor one. The JCPOA is naive agreement based on trust that Iran has never earned. Congress should shut this deal down. In his initial proposal, Obama had mandated a 30 percent nationwide cut in carbon dioxide emissions by 2030, compared to 2005 levels. The final version will require a 32 percent cut instead, said the officials, who weren’t authorized to comment by name and requested anonymity. The final rule also gives states an additional two years — until 2022 — to comply, officials said, yielding to complaints that the original deadline was too soon. States will also have until 2018 instead of 2017 to submit their plans for how they’ll meet their targets. But the administration will attempt to incentivize states to take action earlier by offering credits to states that boost renewable sources like wind and solar in 2020 and 2021, officials said. The focus on renewables marks a significant shift from the earlier version that sought to accelerate the ongoing transition from coal-fired power to natural gas plants, which emit far less carbon dioxide. The revised rule aims to keep the share of natural gas in the nation’s power mix at current levels. The stricter limits in the final plan were certain to incense energy industry advocates who had already balked at the more lenient limits in the proposed plan. But the Obama administration said its tweaks would cut energy costs and address concerns about power grid reliability. The Obama administration previously predicted the emissions limits will cost up to $8.8 billion annually by 2030, although it said those costs would be far outweighed by health savings from fewer asthma attacks and other benefits. The actual price won’t be clear until states decide how they’ll reach their targets. America’s largest source of greenhouse gases, power plants account for roughly one-third of all U.S. emissions of carbon dioxide and other heat-trapping gases blamed for global warming. Obama’s rule assigns customized targets to each state, then leaves it up to the state to determine how to meet them. In the works for years, the power plant rule forms the cornerstone of Obama’s plan to curb U.S. emissions and keep global temperatures from climbing, and its success is pivotal to the legacy Obama hopes to leave on climate change. 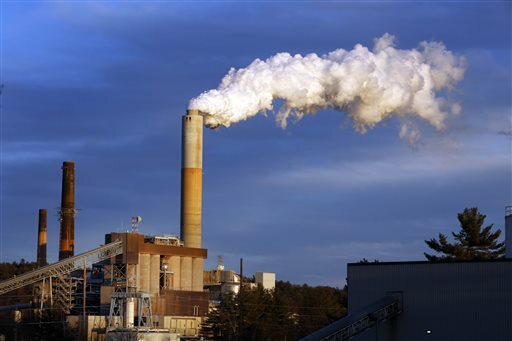 Never before has the U.S. sought to restrict carbon dioxide from existing power plants. Even before the rule was finalized, more than a dozen states announced plans to fight it. At the urging of Senate Majority Leader Mitch McConnell of Kentucky, some Republican governors have declared they simply won’t comply, setting up a certain confrontation with the Environmental Protection Agency, which by law can force its own plan on states that fail to submit implementation plans. Yet even in many of those states, power companies and local utility authorities have started preparing to meet the targets. New, more efficient plants that are replacing older and dirtier ones have already pushed emissions down nearly 13 percent since 2005, putting them about halfway to meeting Obama’s goal. In Congress, lawmakers have sought to use legislation to stop Obama’s regulation. McConnell has also tried previously to use an obscure, rarely successful maneuver to allow Congress to vote it down. The more serious threat to Obama’s rule will likely come in the courts. The Electric Reliability Coordinating Council, which represents energy companies, said 20 to 30 states were poised to join with industry in suing over the rule. The Obama administration has a mixed track record in fending off legal challenges to its climate rules. Nearly two weeks after 32-year-old Kathryn Steinle was murdered on San Francisco’s Pier 14 by an illegal alien and convicted felon who was released from prison earlier this year, President Barack Obama has failed to contact the victim’s family or mention her in public. Yet Obama took the time to write (and release) 46 personal letters this month to felons imprisoned for non-violent drug offenses whose sentences he has commuted. Like the 46 felons to whom Obama wrote, Juan Francisco Lopez-Sanchez had served time for non-violent offenses, some of them drug-related. After his arrest, Lopez-Sanchez, who had been deported five times to Mexico, confessed to shooting Steinle as she walked with her family at the popular tourist spot. Steinle’s murder quickly became an iconic example of violent crime by illegal aliens released from custody under the “sanctuary city” policies embraced by San Francisco and other liberal cities that decline to work with federal immigration officials. Critics have noted that Obama was quick to reach out to the family of Michael Brown, who was killed while charging a police officer in Ferguson, Missouri last year, enhancing Brown’s heroic status to drive a political narrative. He has done the same in other, similar cases.